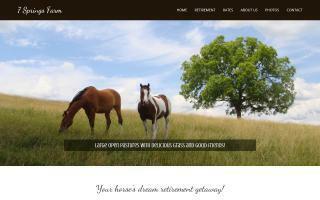 Horse Boarding Stables & Livery Yards Directory - O Horse! A 30 acre horse boarding facility in Hockley, northwest of Houston. We provide quality equine care in a laid back family friendly environment. 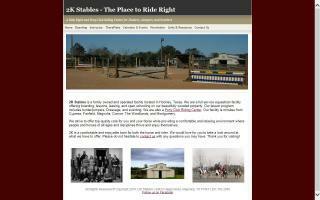 The facility includes a large pecan orchard, riding trails, a riding arena, obstacle courses, and many more amenities. A 30 acre facility providing top quality care for you and your horse. We strive to be a comfortable and relaxing place where people and horse of all ages and all disciplines can thrive. Our gorgeous 40 acre boarding facility is every horse owner's dream! It features large, luscious pastures, a lighted indoor arena with a heated viewing area and restroom, outdoor arena, round pen, tack rooms, and quality horse care! We are a full service facility easily accessible from New Jersey, Manhattan, and Westchester. 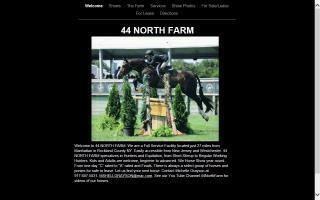 Specializing in hunters and equitation. Huge indoor and outdoor arenas. We show year round from "C" to "A" level. Beginners welcome! 5 stall barn in Stamford. Beautiful private barn with full board available. GRTA trails run through our property! We offer both full and field board at our Allentown, NJ, facility as well as leasing, lessons, and ring rental. We have a well lit indoor arena and a large grass stadium field. Stalls are 12 by 15 with hay mangers and windows in each. Large isle with skylights, kitchen area, grass pastures, and paved driveway. Whether you are looking to show or just trail ride to the Assumpink Wild Life Reserve, we can serve your needs! Lots of experience bringing along young, green, or unbroke horses. A Step Above Stables is a north Georgia horse facility offering services that include instruction, trail riding, boarding, breeding, and sales. Come experience the difference for yourself.